With great love, everything is possible! Ashtanga Yoga classes in the Mysore tradition Mysore Yoga is a unique teaching method, which meets all practitioners – from the absolute beginner to the most advanced. It is named after the city of Mysore in South India where Sri K. Patthabi Jois established and taught this teaching method. When you enter a Mysore yoga class for the first time, everything seems a bit chaotic. In one corner, a student does a headstand (shirshasana) while another is just coming into the triangle (trikonasana) and a third just trying to balance on his arms. What’s going on here one might ask themselves? If you linger and observe closely, you can slowly recognize a pattern. Everyone seems to follow a certain choreography. Compared to other yoga classes, the silence is immediately apparent. Occasionally, the teacher will whisper something towards a student, but the only sound is the students’ joint breath. One can see how the teacher goes from student to student and corrects the body position where necessary. • There is no “guided” lesson. • Students are taught individually within the group. • Students receive personal support and help. • Each student gradually learns the determined sequence of asanas (body postures). Thus, everyone can practice within his possibilities and learn Ashtanga series at his own speed. 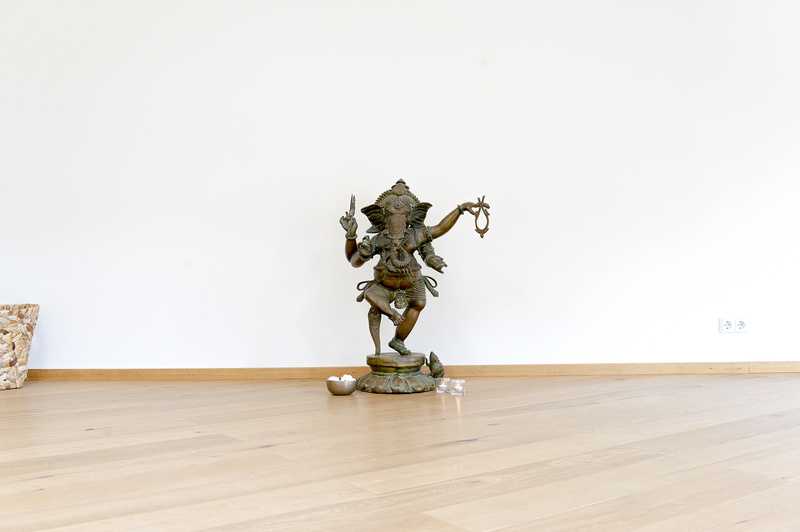 Mysore classes reflect the essence of Ashtanga Yoga Paxis. Students learn the sequence of asanas by means of a specific technique that synchronizes breathing and movement. This technique is called vinyasa krama. Each student can listen to the rhythm and sound of his own breathing and focus his attention inside. Thus, yoga can become a meditation in motion. Ashtanga Mysore is suitable for all levels of experience. There is no prior knowledge required, each one gradually gets all the shares, which are necessary for an independent and individually adapted yoga practice. Beginners are as welcome as advanced students.